Cinnamon Baby - A Sri Lanka Adoption Blog: Interpol clarified! First, you need to go to your local RCMP station and get fingerprints. They will charge $50 per person for that. They will then send your fingerprints to get checked (I think they scan them). 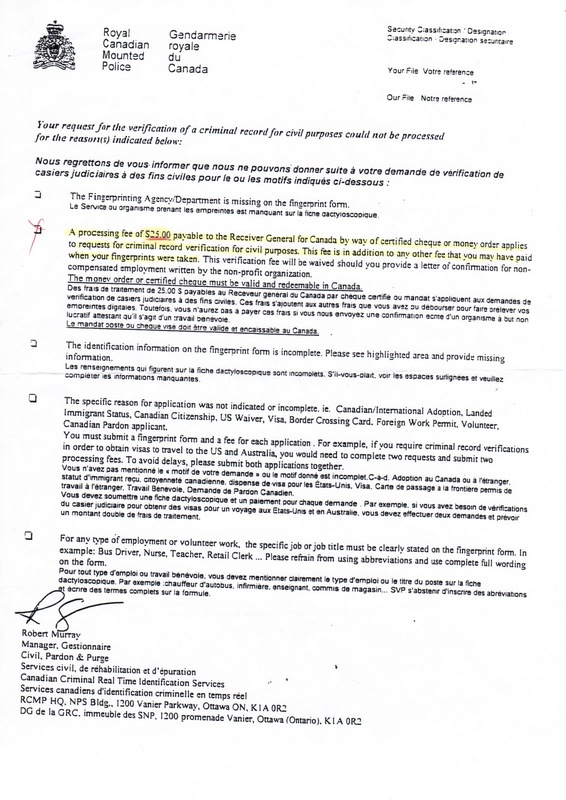 You will get RCMP checks, back at your police station, within a few days. After the prints have been made, they give them to you right away. 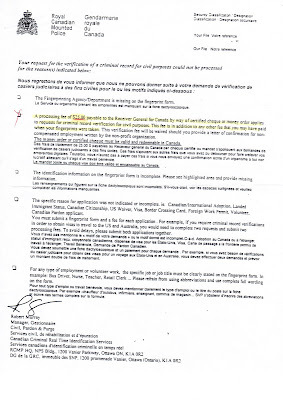 You can send these to the address (in Ottawa) that is printed at the top, along with a money order or certified check to the Receiver General for Canada for $25 per person. It took about 3 weeks for us to get our clearance, by mail. I have read there is another way of doing this, in an L-1 office... I don't know about this, but if anyone does, please leave a comment for my fellow adoptive parents!